El Chalten does not have a long tradition. The town was founded in 1985, as a border outpost to race Chile who was also claiming land in Patagonia. Around two thousand people live here, although it feels a lot larger with thousands of tourist coming to visit in high season. 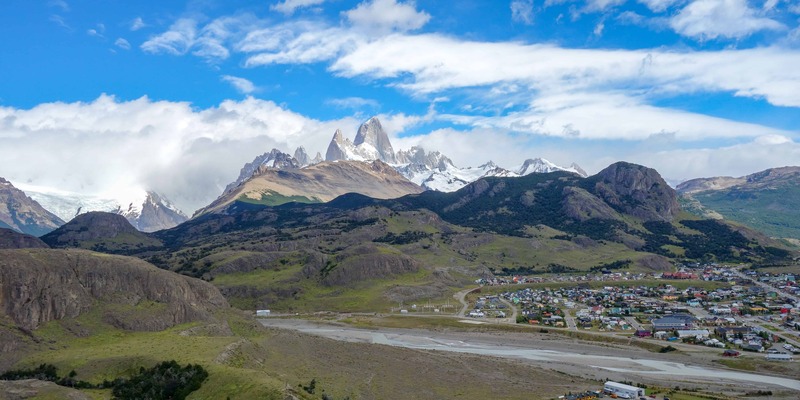 El Chalten is known for its excellent hiking, although even for those who do not like to walk, there are a couple of things to do in the area. I have tried to put together a list of things you could do, trying to include as much of a variety as I could. El Chalten might be the capital of hiking but that doesn’t mean there aren’t more things to explore. As already mentioned, visitors to El Chalten can find many trekking trails in the area. 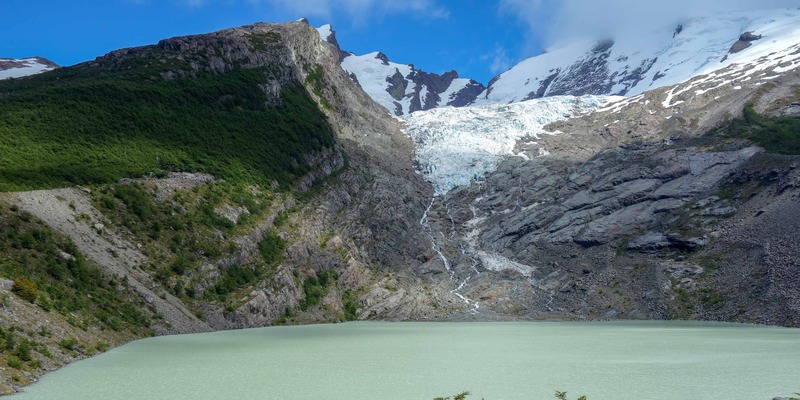 The two most popular day hikes are to Laguna Torre and Laguna de los Tres. The one to Laguna Torre is the most popular one, offering great views of the Cerro Torre. If you have the time, also hike to Laguna de los Tres. 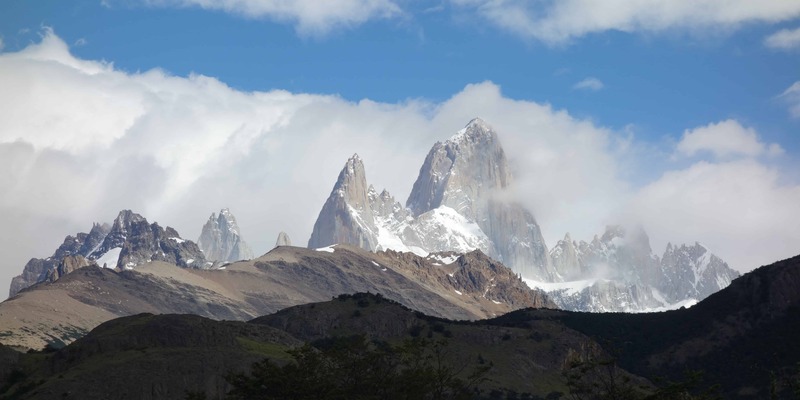 It is longer and more exhausting, but on clear days, you have a great view of Fitz Roy. Make sure to start early so you can come back before sunset. Both hikes will take you a whole day. The weather changed quickly in the mountains, so be prepared and take an extra layer of clothing amd enough food and water. Also, those two trails might be the most popular ones and if you need help, chances are high that you come across other hikers. It is still a good idea to let someone at your hotel know where you’re going and when you’re planning on coming back. At the southern end of the city, you can find a trail leading to two viewpoints. The Mirador del Condor is the closest one and going there and back again takes a little less than an hour. From up here, you have a great view of El Chalten and, on clear days, Mount Fitzroy. If you decide to go on, you will end at Mirador de las Aguilas. This viewpoint overlooks the Patagonian steppe, a seemingly endless brown landscape stretching out until the horizon, with hills and mountains rising up to your left and right. I wish I’d had more time so I could have visited Casa Madsen. The house is located near El Chalten and belongs to the Madsen family. Andreas Madsen arrived in the area in 1901 from Denmark. He spent 12 years exploring the surrounding area, before returning to his home country. But that wasn’t the end of it. Eventually, he came back with his wife to settle down and spend the rest of his days here. These days, his grandson, Roy Madson, offers tours of the house. Besides a lot of informatipn about El Chalten, Patagonia and its history, these tours include coffe and cake and also a pick-up in town. The path to the Huemul Glacier begins near Lago del Desierto, 30 kilometers north of El Chalten. The easiest way to get here is to arrange a transfer with one of the many travel agencies in town. Walking to the glacier takes between half an hour and one hour one-way. The path leads you through the forest, following a river, before reaching a steep ascent at its end. On top of the hill, you have a great view of a lagoon and the glacier on the mountains behind the water. Huemul is the name of a local deer that lives in the area. If you are more lucky than we were, you might even get to see one. Since the path is located on private property, you need to pay an entrance fee. Bring your own food that you can eat at the picnic tables once you are done, or buy a burger in the same shop where you got your entrance ticket. Another option, if you have made it to the Lago del Desierto, is to go on a boat ride on the lake. Most agencies in El Chalten offer transfers in combination with a boat ride and a short guided hike. Shop around town to compare prices. Once you arrive at the lake, you will be taken to a boat that drives all the way to the other end. Along the way, you can admire the scenery of the blue water, the forests and the mountains rising up on one side. 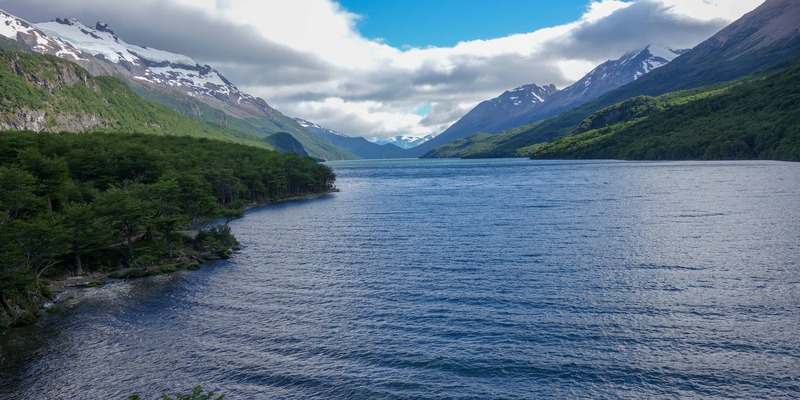 Plus, this lake is also part of Patagonian history as this is where Chileans and Argentinians had a conflict about land rights, with both sides claiming the Lago del Desierto. It was only through the Pope’s Intervention that the argument could be solved peacefully. 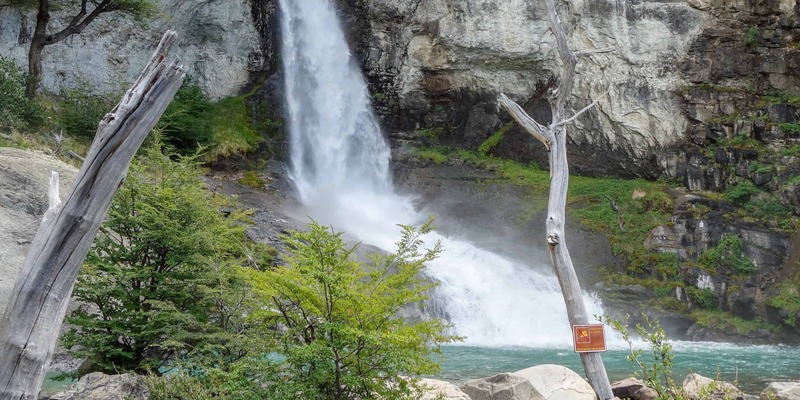 The Chorrillo del Salto is a waterfall located north of El Chalten. You can either hike here (it takes about an hour) or make this a stop on your way to the Lago del Desierto. The waterfall is 20m high and a very popular spot, so expect the area below it to be crowded. Nevertheless, it is a great place to relax for a while. Rafting in El Chalten is done on the Rio de las Vueltas. The river originates at Lake Desert and has many glacial tributaries, which, due to minerals, give it a white colour. Unfortunately, glacial rivers also mean that the water is freezing cold. But don’t worry. You will be given a thermal suit by your tour operator, so you can truly enjoy the experience. The tour starts on calmer water, so you have time to practise your paddling skills, before going into a canyon and through the rapids.